Follow the 12-page activity guide to learn how to construct your enchanted miniature cottage and beautiful living garden. 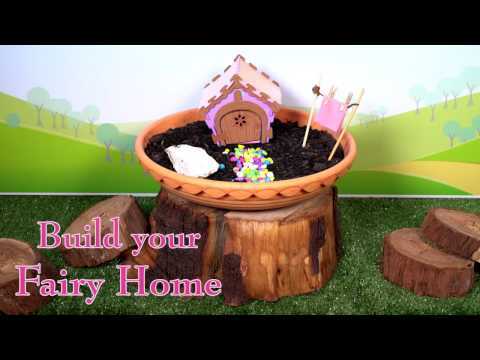 This creative kit contains everything you need to make your fairy feel at home, from a sparkly cottage with oyster shell to grass seed, fairy flowers and coloured gravel. Add some imagination, creative flair and a little sprinkling of the fairy dust included - magic!